For over 30 years, we've built a reputation of excellence. The Law Offices of Mark V. Murphy, serving San Ramon, Pleasanton, Walnut Creek, Danville, and the entire Diablo Valley, is knowledgeable in all aspects of the most serious personal injuries. When you or a family member suffers a serious injury, you need an attorney with experience regarding the legal ramifications of the accident; you also need an attorney with a medical understanding of the injuries sustained to provide you with the best opportunity for full, fair compensation for the pain, suffering, lost wages, medical expenses, including future damages and expenses resulting from the accident. Mark Murphy is a graduate of the University of California at Berkeley and was admitted to the California State Bar in 1978. As an experienced personal injury attorney, Mark has earned the repeated and referral business of many satisfied clients. 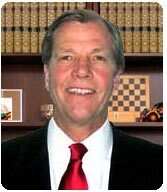 He has been a member of the Alameda and Contra Costa County Trial Lawyers' Association, the Alameda County Bar Association, the Contra Costa County Bar Association and the Consumer Attorneys of California for nearly 30 years. He is also a Charter Member of Rotary International's San Ramon Valley Rotary Club.